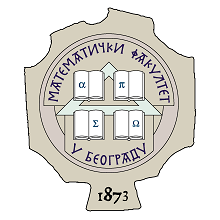 The 19th Junior Balkan Mathematical Olympiad (JBMO) will take place in Belgrade, Serbia from June, 24th till June, 29th, 2015. 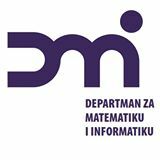 This mathematical competition will be held according to the traditional regulations of Junior Balkan Mathematical Olympiads (JBMO). The 18th JBMO was held in Ohrid, Macedonia on 21–26. June 2014. The 17th JBMO was held in Antalya, Turkey on 21–26. June 2013. The 16th JBMO was held in Veria, Greece on 25–29. June 2012. The 15th JBMO was held in Larnaca, Cyprus on 19–24. June 2011. The 14th JBMO was held in Olanesti, Vâlcea County, Romania on 18–22. June 2010. The 13th JBMO was held in Sarajevo, Bosnia and Herzegovina on 25–30. June 2009. The 12th JBMO was held in Vlorë, Albania on 23–28. June 2008. The 11th JBMO was held in Shumen, Bulgaria on 25–30. June 2007. The 10th JBMO was held in Chişinău, Moldova on 25–30. June 2006. The 9th JBMO was held in Veria, Greece on 20–26. June 2005. The 8th JBMO was held in Novi Sad, Yugoslavia in 2004. The 7th JBMO was held in İzmir, Turkey in 2003. The 6th JBMO was held in Târgu-Mureş, Romania in 2002. The 5th JBMO was held in Nicosia, Cyprus in 2001. The 4th JBMO was held in Ohrid, Republic of Macedonia in 2000. 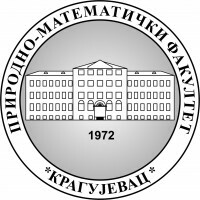 The 3rd JBMO was held in Plovdiv, Bulgaria in 1999. The 2nd JBMO was held in Athens, Greece in 1998. The 1st JBMO was held in Belgrade, Yugoslavia in 1997.